Nanomaterials/Nanotechnology, Magnetic Materials/Devices, Energy Technology, Bio/Medical Device Materials, and Virtual Reality Materials/Devices. Nano Materials and Device Applications -- Carbon nanotubes, 2-D materials such as nano patterned graphene and MoS2, nanoparticles, and nano-fabrication of aligned or patterned nanostructures with controlled geometry, synthesis of nanocomposite structures, ultra-sharp nanoprobes, electron field emission, e-beam lithography, and nano imprint lithography, self-assembled anodized aluminum oxide (AAO) membranes, diblock co-polymers nano patterning masks, electronic packaging, nano-solders, universal solders. Magnetic Materials and Applications –Research on practical magnetocaloric materials for cooling and refrigeration technology. Also, on creation of ultra-high-density magnetic recording media, and on new rare-earth-free permanent magnet materials design and fabrication. Energy Materials and Structures for efficient thermoelectric materials, solar cells, fuel cells, battery electrodes, supercapacitors, water splitting --- Design and synthesis of new nano black oxide particles for highly efficient solar spectral absorption for Concentrating Solar Power (CSP) generation. Also, nanoparticle synthesis for new rare-earth-free, high-strength permanent magnets by exchange interactions, large surface-area, highly efficient catalyst nanostructures, membrane/ separator materials, high-capacity electrode materials, nano-grained thermoelectric materials by spark erosion. Bio Materials and Influence on Cell Behavior and Nanomedicine -- Reliable orthopaedic and dental implants, coronary stents, new 3-D scaffolds for tissue engineering, drug delivery nano-bio materials, and medical devices. Functional or maneuverable biomaterials such as magnetic nanoparticles, quantum dots, conjugated nanocomposites are synthesized and utilized. New Coating Materials for (a) wear-resistant and Teflon-free superhydrophobic /omniphobic surfaces, (b) optically transparent, wear-resistant ceramic super-omniphobic coating for solar panel protection, cell phone anti-fingerprint glass, and various self-cleaning applications, (c) smart, tunable sunlight-reflecting or absorbing coatings to keep buildings and automobiles cool in the summer and warmer in the winter, (d) dark or black-colored fabrics with sunlight-reflecting properties for less hot feeling by the wearer. Smart, Adaptive Textiles that can automatically alter insulation in response to ambient temperature change to make a person feel always comfortable, thus saving building electrical energy for air-conditioning or heating. Virtual Reality (VR) Devices with multiple human senses combined for more realistic duplication of desired environments (useful for VR travel, retail sales, games, on-line-shopping, etc). July 1, 2015 – present: Professor Emeritus, UC San Diego. July 2006 – June 30, 2015: Distinguished Professor, UC San Diego. July 2004 – June 30, 2015: Faculty member, Center for Magnetic Recording Research (CMRR) at UCSD. January 2003 – June 30, 2015: Director, UCSD Materials Sci & Eng Program. 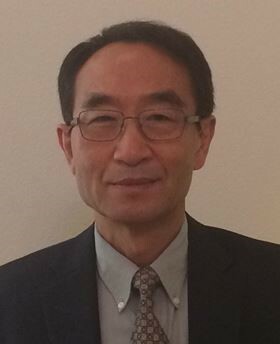 July 2002 – June 30, 2015: Professor of Materials Science and Iwama Endowed Chair, Department of Mechanical & Aerospace Engineering, UC San Diego. May 1981 – June 2002: Bell Labs at Murray Hill, NJ. Technical Manager of Applied Materials and Metallurgy Research Group. July 1976 - May 1981: Bell Labs at Murray Hill, NJ. Member of Technical Staff. July 1974 - June, 1976: Lawrence Berkeley Laboratory, University of California, Berkeley. Research Scientist. Contributed to the advancement of science and technology with world-class, trend-setting research in the fields of electronic, magnetic, optical, superconducting, electronic packaging, and MEMS materials and devices, nano-bio materials, and energy materials. The pioneering and leadership nature of my work is evident by a large number of Science Citation Index (~17,000), US Patents (~250 issued or pending), publications (~420 including 10 in Nature or Science), and invited or keynote talks (~140) at major professional societies. Discovered (and named) Colossal Magneto-Resistance (CMR) phenomenon in perovskite La-Ca-Mn-O thin films in 1994. My publication in Science 264, 413 (1994), “Thousandfold Change in Resistivity in Magnetoresistive La-Ca-Mn-O Films”, has ~4,000 citations [4th highest cited paper in the physical science field during the past decade], and related papers in JAP, APL and the invited talk at the Magnetism and Magnetic Materials Conference touched upon the imagination of many people, and immensely stimulated world-wide research in this field. Very large change in electrical resistivity many orders of magnitude was obtained. The fact that electrical resistivity of a material can be manipulated by applied field to be altered by orders of magnitude could be quite useful if the CMR materials are properly developed, for a variety of electrical and magnetic devices including ultra-high-density, hard-disk recording heads, future spintronics devices. Developed and successfully commercialized ductile permanent magnets of Fe-Cr-Co alloys (Chromindur) based on spinodal decomposition for reliable and miniaturized telephone receiver applications. As many as 10 million cup-shaped magnets per year was manufactured and used in-high quality AT&T telephones since early 1980s, with a total economic impact (savings) of over ~$ 1 billion in today’s dollar value. In response to the worldwide cobalt supply crisis in early 1980’s, I developed a series of cobalt-free, square-loop semi-hard magnet materials including Fe-20Ni-4Mo and Fe-8Mn alloys. They are now widely used in billions/year of anti-theft security tags for electronic surveillance in various retail stores. Developed voltage-pulse-generating magnetic wires (remotely actuate-able by external magnetic field) for possible implantation for functional electrical stimulations of neurons, accelerated bone healing, remote pacemakers, and other biomedical applications. Designed new, optically transparent (~98%) yet electrically conductive polymer-metal particle composite structure with z-direction-only anisotropic conductivity using vertically alignment of chain of ferromagnetic metal particles (published in Science). The structure can be useful for touch-sensitive screens and other optical applications. The anisotropic conductivity can be useful for solderless electronic interconnections, non-invasive circuit tests for commercial high-frequency IC products, and potentially for tactile sensor skins for robotic or bio applications. Designed and demonstrated magnetically tunable optical fiber grating device which allows latchable reconfiguration of Bragg filtering wavelength for potential wavelength division multiplxed (WDM) optical telecom systems. Contributed to Lucent Technologies exciting optical MEMS program (involving 100+ scientists) with valuable work of enabling the stability and performance of light-reflecting mirrors. World’s largest and fastest telecommunication optical switching systems using the free-space optical MEMS has been demonstrated by Lucent at the Yr 2001 OFC Conference (Optical Fiber Conference), the capacity of which would allow the switching of today’s whole day internet traffic in less than a second if needed. Demonstrated, for the first time, and within a month after the announcement of the 90K superconductor, the feasibility of high Tc superconductor (HTSC) wires from the mechanically brittle ceramic superconductors was demonstrated through the study of diffusional interactions between various metals and the reactive high Tc materials, and through fabrication of silver clad superconductor wires. This silver-clad approach was widely used by many researchers and industries in US, Japan, and Europe (IGC, American Superconductors, Sumitomo, etc.) for fabrication of Bi-Sr-Ca-Cu-O and Tl-Ba-Ca-Cu-O based high Tc superconductor wires and prototype/demonstration superconducting magnets with ~2 Tesla generated field. I have been awarded several broad patents on HTSC wires covering cuprate superconductors. Pioneered (and named) the Melt-Textured-Growth processing for HTSC and demonstrated for the first time that the grain boundary weak link problem in bulk high Tc superconductors can be overcome and high critical current density can be obtained. The principle of partial melt processing for grain alignment is now employed by world-wide researchers in order to achieve high critical currents (Jc) in Y-Ba-Cu-O, Bi-Sr-Ca-Cu-O, and Tl-Ba-Ca-Cu-O bulk superconductors and wires, and led to commercial applications such as efficient and sharp, telecommunication frequency filters for Bell Atlantic, Ameritech, and other companies. For the leadership quality R&D in the superconductor field I received the “1990 Person of the Year” award from Superconductor Week which selected one person with greatest contributions per year from more than 1200 physicists, chemists materials scientists, and electrical engineers then actively engaged in high Tc research. I was also selected as one of the Top Ten Innovative Scientists in U.S. (in the collective field of biology, chemistry, physics and electrical engineering) by Business Week magazine (August 14, 1989), and was featured in the centerfold photograph in Life magazine (September 1987). Initiated the trend and displayed leadership in advocating and promoting R&D in early 1990’s on the environmentally safe electronic solders, especially Lead-Free Solders. (Europe and Japan are leading the effort to ban the use of lead-containing solders in coming years in electronic/consumer devices, with “cradle-to-grave-responsibility” type environment policy legislations for manufacturers and imported products). I organized the first eight “Lead-Free Solder” symposia for the metallurgical society meetings (1993-1997), and firmly established TMS as the leading society for discussing and advancing Pb-free solder science and technology. Edited a Special Topics Series on lead-free solders for JOM (The Journal of the Minerals, Metals and Materials, July 1993). Discovered a new diamond processing technique using diffusional thinning, polishing and shaping of diamond by molten rare earth metals. While diamond has the highest thermal conductivity of all known materials and provides exciting thermal management possibilities in modern electronic and optoelectronic designs, it is the hardest material known to mankind and the conventional mechanical polishing and shaping (usually against diamond) is time-consuming and costly, sometimes accounting for as much as one-half of CVD diamond cost. The new technique is fast and, unlike the conventional method, allows simultaneous processing of thousands of diamond pieces or wafers. The significance of this work was recognized by publications in the journal Nature, etc., and its coverage by BBC radio in 1994 Science-in-Action program. Pioneered the desirable iron-clad superconductor wire structure for the newly discovered MgB2 superconductors, and demonstrated for the first time that the volatility problem associated with the presence of magnesium can be overcome and promising superconductor characteristics and configurations can be obtained. This work was published in Nature in May, 2001, and covered by New York Times, Financial Times, and various news media. Demonstrated new, on-chip MEMS vacuum microtriode device by combining the world of nano with that of MEMS. Carbon nanotube cold cathode was utilized to construct a miniature triode field emission device for microwave power amplifier applications. The pioneering nature of this work was recognized and covered by news media and respectable science magazines/journals including Physics Today (July 2002, www.physicstoday.org ), MRS News (July 23, 2002), Nature (Materials Update, May 2002, www.nature.com/Physics ). Demonstrated for the first time that sharply bent (zig-zag or 90o bent) carbon nanotubes can be fabricated using inhomogeneous electric field distribution during CVD growth. (Published in Nano Letters 2004) As compared to the generally straight nanowires, such bent nanotubes have far more utility, e.g., as route-able in-plane circuit nanoconductors, zig-zag nanotubes for stress-accomodating vertical interconnects, bent-tip AFM nanoprobes for sidewall metrology, and other potential applications such as nanosolenoids. Ultra-sharp AFM probe tips as small as 1 nm tip diameter has also been demonstrated for accurate imaging of nanostructures and devices, and ultra-soft-caltilevered AFM probes (~1/000 elastic modulus of standard AFM probe) with high aspect ratio carbon nanotube tips have been demonstrated for imaging of soft matters such as living cells, soft polymers, and delicate nanodevices. Discovered that vertically aligned and well-adhered TiO2 nanotubes on Ti implant metal surface significantly increases the formation of hydroxyapatite and bone growth. It is demonstrated that the kinetics of osteoblast cell adhesion/growth is accelerated by 300-400% on the nanoscale, topologically configured surface of the nanotubes (published in J. Biomed. Mater. Res. 2006), and the mobility of endothelial cells are much enhanced (published in Nano Lett. 2008). Also discovered that the stem cell (hMSC) differentiation can be dictated solely by TiO2 nanotube geometry so that either cell proliferation without differentiation or preferential differentiation into osteogenic lineage can be accomplished without using chemical inducing agents (published in PNAS, 2009). Three patents on this technology have since been licensed to two companies that actively pursue biotech bone/dental implant commercialization. Discovered novel electronic switching behavior and logic in CVD synthesized carbon nanotube Y-junctions. (Nature Materials, 2005). This is the first time that such an abrupt electrical switching behavior from “on” to “off” state has been achieved in CNT Y-junctions. Prior to this work, only a diode like behavior was observed. This ready-made, three-way, nano-sized transistor device represents an entirely new class of nanoelectronic architecture and functionality, extending well beyond conventional field effect transistor technologies, making the overall nanotube based nanoelectronic architecture more complete and feasible. Contributed to the design of dual-elastic-modulus composite materials, and discovery of strongly nonlinear acoustic materials with exciting “energy trapping and shock wave disintegration” characteristics (Phys. Rev. Lett., 2006). A shock wave impulse can be made to be confined at the soft-hard modulus interface of chain of spheres, which then allows the trapped shock energy to be slowly released in the form of weak, separated pulses over an extended period of time. Such control of acoustic waves can be useful for powerful shock mitigation, sound absorption, drastic compression /decomposition/focusing of acoustic signals for signal scrambling, and more accurate acoustic therapeutics for brain tumors and other medical disorders. Designed new Dye Sensitized Solar cells with interconnected metallic electronic conductive paths in anode TiO2 matrix, with ~9% regime solar cell efficiency routinely obtained. Also, demonstrated the feasibility of eliminating the expensive FTO (fluorinated tin oxide type transparent conductive oxide) glass component for DSSC and PSSC (Perovskite Sensitized Solar Cells) toward easier scale-up with minimal voltage drop in larger solar cells. R&D toward significantly lower-cost Si photovoltaic solar cells by reduced Si materials usage and cutting loss using magnetically direction-guided chemical slicing. (Nano Letters 2012) Feasibility of reducing Si usage by a factor of ~10 demonstrated using massively parallel, high-speed, catalytic chemical slicing. Only 10 um thick Si sheets easily produced with ~5-10 micrometer thick Si materials loss (kerf loss) per cut. By virtue of Si etching direction control by applied magnetic field orientation, zig-zag shape Si nano wires or curved/zig-zag vias into Si can be created. This technique can also be useful for microscale TSV (Through-Silicon-Via) hole array fabrication without using any vacuum or lithography process. Pioneered the development of "Universal Solders" that are Pb-free and can bond onto any ceramic or metallic surfaces. (Materials Letters, 2015) A small amount of rare earth elements such as inexpensive mischmetal can enable the low temperature solder to have chemical reactions with the substrate surface so as to produce strong bonding. The Universal Solders can bond onto Al oxide, Si oxide, stainless steel, optical crystals, and many difficult-to-bond materials. Also developed "Nano-Solders" that can be soldered at low temperature such as at 200oC, but are converted to higher-melting-point (415oC), tough and ductile intermetallic compound. (Small, 2015) The Nano-Solders are useful for electronic packaging applications requiring smaller feature size, higher-density solder pad array and to provide thermally more durable, fatigue- and creep-resistant solder packaging. Designed and produced hollow sphere nanocapsules with trapped magnetic nanoparticles for magnetically guided tissue/tumor penetration and remotely switchable, on-demand release of anti-cancer medications on local tumor sites, with minimal side effects often encountered with global chemotherapy. (Nano Letters 2010, Acta Biomaterilia 2013). Successfully demonstrated crossing of the blood-brain-barrier (BBB) in a mouse model animal experiment by the magnetic capsules using a magnetic vector to enable the delivery of brain-disease drugs such as Alzheimer’s disease drugs. His paper, “Magnetic Targeting of Nanoparticles Across the Intact Blood-Brain Barrier”, J. Controlled Release, 2012, was honored to receive “CRS Jorge Heller JCR Award 2012" as a recognition as the best paper in controlled drug release in yr 2012. Smell-o-Vision odor generating device demonstrated for future TV and cell phone displays. The X-Y matrix controlled device generates desired odors such as lady’s perfume or pizza smell synchronized and released when the corresponding scenes come up on TV screen. This is based on expansion of materials engineering principles to the field of 4-D and 5-D entertainment that adds the sense of smell to the sense of vision and hearing. His group has designed elastomer chamber scent array structures that demonstrated self-gated release of scents only upon X-Y matrix simultaneous electronic signal actuations, which can allow up to 10,000 odors released with only 100+100 electrical control lines (“An X–Y Addressable Matrix Odor-Releasing System Using an On–Off Switchable Device”, Angewandte Chemie, Int., 2011. Such Smell-o-Vision type, selective odor generating devices are useful for future TV, cell phone displays, and movie theaters allowing controlled release of desired odors such as lady’s perfume or pizza smell synchronized with the corresponding scenes on TV screen. This work received much news media attention in 2011 including ABC and NBC TV network coverage, and CNBC in-studio interview (June 20, 2011), Scientific American (18 June 2011). Virtual Reality (VR) and Augmented Reality (AR) headsets capable of synchronized scent release on corresponding scenes have also been demonstrated. Designed and fabricated vertically or radially nanowire-textured implant MP35N alloy materials by using RF plasma processing for enhanced coronary stent applications. Also developed anti-biofouling and desirably low-impedance Pt-Ir alloy with surface nanostructures for neural implants and cochlear implants to solve the decades long problem of tissue encapsulation and damage of electrode electrical performance (for example, ~30% of Hybrid Cochlear Implants recipient patients lose their hearing after several months mostly due to tissue encapsulation and associated degradation of electrical performance. The reduced impedance and antibiofouling studies by Prof. Jin can be valuable for brain neural devices, coronary stents, cochlear implants, and pacemakers. Published 3 papers on the subject in Acta Biomaterials in recent years of 2010, 2010, 2013. Developed new, highly efficient sunlight absorber layer for Concentrating Solar Power (CSP) systems. (Nano Energy, 2014, ) The CSP is a viable, commercialized technology that competes effectively with photovoltaic solar energy. This Carnot-cycle based energy conversion utilizes focused sunlight on Spectrally Selective Coating on a steel pipe that contains molten salt heated by the absorbed thermal energy. The molten salt is then sent to power plant for operation of steam turbines to generate clean electricity solely produced by sunlight without using any carbon-containing fuels. The solar thermal Carnot cycle is highly efficient (~40% regime) as compared to ~25% regime for photovoltaics solar cells. This sucessful DOE SunShot Program funded project (2013-2015) aimed to achieve reliable absorber material coating to allow even higher temperature operation of 750oC and ~60% Carnot efficiency by introducing newly developed absorber material that has bandgap-adjusted semiconducting properties (to minimize black body radiation IR emission loss) or made of nanoscale black oxide structures in combination with oxidation resistance for 750oC operation of the solar power system. (See: http://www.jacobsschool.ucsd.edu/news/news_releases/release.sfe?id=1589). Developing wear-resistant superhydrophobic materials using nanostrucutres for durability in engineering applications such as finger-print-resistant display surface coating, anti-biofouling coating, and other corrosion-resistant, humidity- or water-resistant surface coatings. Water-splitting R&D for efficient hydrogen fuel generation by designing and fabricating new, structures and devices for enhanced cathode and anode catalytic performances. (Nano Letters,2013, Nanoscale, 2015). Metal oxides as well as semiconductor materials using 3D configurations are utilized. New supercapacitors and batteries with substantially higher energy capacity and wider temperature range usage are being investigated, using unique nanostructures design and fabrication approaches. Smart textiles that can automatically change insulation in response to ambient temperature change to make a person feel always comfortable, thus saving building electrical energy for air-conditioning or heating. Such fabrics become thicker when the environment gets cold to make the wearer feel warmed, but gets thinner when the weather gets hot. Also, temperature or humidity responsive, porosity-generating fabrics have been developed for outdoor or indoor apparels. New thermal insulation materials for refriegeration and energy conservation for buildings/housings, transportation vehicles/structures, space applications, and energy savings in general. Highly efficient heat dissipating materials for rapid heat sinking, and thermal interface materials for improved heat-transfer are also being investigated. Optical materials geometry, structures, and compositions design and fabrications are being studied/developed to alter/control UV/Vis/NIR/IR absorption, reflection and emission responses for sunlight, indoor light, heat wave, and body heat radiation/emission. These new materials design can benefit building energy management, heat loss reduction, human comfort in apparels and fabrics for indoor/outdoor activities. Member of the US National Academy of Engineering, NAE (elected in 1999). Acta Materialia Gold Medal (2016). CRS Jorge Heller JCR Award (2012) for pioneering research on remote controllable drug delivery and BBB crossing demonstration using nanocapsules. Albert Sauveur Achievement Award, ASM International for pioneering research for discovery of new materials and phenomena in the fields of electronic, magnetic and superconducting materials. (2009). John Bardeen Award from TMS (The Metals, Minerals and Materials Society), 2007 for outstanding contributions to the electronic materials. (2007). Nano 50 Awards (2005) which honors top 50 nanotech technologists in US. Ho-Am Engineering Prize from Ho-Am Foundation in Korea, 2000 (the most prominent honor in Korea in science and technology). Elected to the rank of TMS Fellows (The Metals, Minerals and Materials Society), 2000. (The maximum number of living Fellows limited to 100). Fellow of American Physical Society, 2003. Fellow of ASM (American Society for Metals) International, 1994. 1990 Superconductor Week “Person of the Year Award”. Received 1998 “Outstanding SRC (Semiconductor Research Corp.) Mentor of the Year Award”. Recognized by the ISI (Institute for Scientific Information) as “ISI’s 1120 Most Cited Physicists in the World” (for the period of 1981 – 1997) with the rank of 392th out of 1120 best physical science researchers. Editor, Acta Materialia (January 2007 - now). Associate Editor, Materials Science & Engineering B. Principal Editor, Journal of Materials Research (1998 – 2005). Guest Editor for JOM Special Topics Series on Lead-Free Solders: A challenge and Opportunity (July 1993), Recent Advances in Electrically Conductive Materials (March 1997), Advances in Thermal Management Materials (June 1998). Editor of the eleven-chapter book, “Processing and Properties of High Tc Superconductors”, 1993. Editor for Electronic Packaging, New Encyclopedia of Materials Science and Technology (1999). TMS Board of Directors member, and Division Chair (for Yr. 2002-2004) for TMS Electronic, Magnetic, Photonic Materials Division Council, overseeing ~7 technical committees. Served as Committee Chair (1999-2002) for TMS Electronic Packaging and Interconnection Materials Committee. Meeting Chair, Materials Research Society Fall Meeting, 2000, overseeing the organization and running of 41 Symposia with ~4500 participants. Organized the first eight TMS Mtg. Symposia on “Lead-Free Solders and Soldering Technologies” (1993-2000) and Microelectronics Packaging, two TMS Symposia on Conductive Materials (1995, 1997), on Optical and MEMS Packaging (March, 2003), and two MRS-related symposia on High Tc Superconductors (1990, 1992). S. Jin, T. H. Tiefel, M. McCormack, R. A. Fastnacht, R. Ramesh, and L. H. Chen, "Thousandfold Change in Resistivity in Magnetoresistive La-Ca-Mn-O Films", Science 264, 413 (1994). J. E. Graebner, S. Jin, G. W. Kammlott, J. A. Herb, and C. F. Gardinier, "Large Anisotropic Thermal Conductivity in Synthetic Diamond Films'', Nature 359, 401 (1992). S. Jin and G. Y. Chin, "Fe-Cr-Co Magnets (Invited)," IEEE Trans. Magn. MAG-23, 3187 (1987). R. Ramesh, S. Jin and P. Marsh, “Superconductor Defect Structure”, Nature, 346, 420 (1990). D. W. Murphy, D. W. Johnson, Jr., S. Jin, R. E. Howard, “Processing Techniques for the 93K Superconductor Ba2YCu3O7-d “, Science, 241, 922-930 (1988). S. Jin, T. H. Tiefel, R. Wolfe, R. C. Sherwood, J. J. Mottine, Jr., "Optically Transparent, Electrically Conductive Composite Medium", Science, 255, 446 (1992). S. Jin, J. E. Graebner, M. McCormack, T. H. Tiefel, A. Katz, and W. C. Dautremont-Smith, "Shaping of Diamond Films by Etching with Molten Rare-Earth Metals", Nature 362, 822 (1993). W. Zhu, G. P. Kochanski, and S. Jin, "Low-Field Electron Emission from Undoped Nanostructured Diamond", Science 282, 1471 (1998). S. Jin, H. Mavoori, C. Bower, and R. B. van Dover, "High Critical Currents in Iron-Clad Superconducting MgB2 Wires", Nature 411, 563 (2001). P.R. Bandaru, C. Daraio, S. Jin, and A.M. Rao, “ Electrical Switching Behavior and Logic in Carbon Nanotube Y-junctions”, Nature Materials 4, 663-666 (2005). S. Jin, H. Mavoori, R. P. Espindola, and T. A. Strasser, “Broad-Range Latchable Reconfiguration of Bragg Wavelength in Optical Gratings”, Appl. Phys. Lett. 74, 2259 (1999). L. H. Chen, H. Mavoori, T. J. Klemmer, and S. Jin, “Magnetostriction in a Co-30%Fe Alloy”, IEEE Trans. Magn. 35, 3835 (1999). C. Bower, W. Zhu, S. Jin, and O. Zhou, “Plasma-induced Alignment of Carbon Nanotubes”, Appl. Phys. Lett., 77, 830 (2000). L. H. Chen, T. J. Klemmer, K. Ellis, R. B. van Dover, and S. Jin, “Soft Magnetic Properties of Fe-Co-B Films for Ultra High Frequency Applications”, J. Appl. Phys. 87, 5858 (2000). H. Mavoori, A. R. Ramirez and S. Jin, “Universal Solders for Direct and Powerful Bonding on Electronic and Optical Materials”, Appl. Phys. Lett. 78, 2976 (2001). W. Zhu, C. Bower, G. P. Kochanski, and S. Jin, “Electron Field Emission from Nanostructured Diamond and Carbon Nanotubes”, Solid State Electronics 45, 921 (2001). C. Bower, W. Zhu, D. Shalom, D. Lopez, L. H. Chen, P. L. Gammel and S. Jin, “On-chip vacuum microtriode using carbon nanotube field emitters”, Appl. Phys. Lett., 80, 3820 (2002). Joseph F. AuBuchon, Li-Han Chen, Andrew I. Gapin, Dong-Wook Kim, Chaira Daraio, and Sungho Jin, “Multiple Sharp Bending of Carbon Nanotubes during Growth to Produce Zig-Zag Morphology”, Nano Lett. 4, 1781 (2004). Seunghan Oh, Chiara Daraio, Li-Han Chen, Thomas R. Pisanic and Sungho Jin, “Significantly Accelerated Osteoblast Cell Growth on Aligned TiO2 Nanotubes” J. Biomed. Mater. Res. 78A, 97-103 (2006). Thomas R. Pisanic, Jennifer D. Blackwell, Veronica I. Shubayev, Rita R. Finones, Sungho Jin, “Nanotoxicity of iron oxide nanoparticle internalization in growing neurons”, Biomaterials 28, 2572–2581 (2007). Andrew I. Gapin, Xiang-Rong Ye, Li-Han Chen, Daehoon Hong, and Sungho Jin, “Patterned Media Based on Soft/Hard Composite Nanowire Array of Ni/CoPt”, IEEE Trans. Magn. 43(6), 2151 (2007). I-C. Chen, L. H. Chen,C.A. Orme, S. Jin, “Control of Curvature in Highly Compliant Probe Cantilevers during Carbon Nanotube Growth”, Nano Lett. 7(10), 3035-3040 (2007). Jeongwon Park, Li-Han Chen, Daehoon Hong, Chulmin Choi, Mariana Loya, Karla Brammer, Prab Bandaru, and Sungho Jin, “Geometry Transformation and Alterations of Periodically Patterned Si Nanotemplates by Dry Oxidation”, Nanotechnology 20, 015303 (2009). Veronica I. Shubayev, Thomas R. Pisanic, and Sungho Jin, “Magnetic Nanoparticles for Theragnostics”, Advanced Drug Delivery Reviews 61, 467-477 (2009). Seunghan Oh, Karla Brammer, Julie Li, Dayu Teng, Adam Engler, Shu Chien, Sungho Jin, “Stem Cell Fate Dictated Solely by Altered Nanotube Dimension”, PNAS 106(7), 2130-2135 (2009). Karla S. Brammer, Seunghan Oh, Christine J. Cobb, Lars M. Bjursten, Henri van der Heyde, Sungho Jin, “Improved Bone-Forming Functionality on Diameter-Controlled TiO2 Nanotube Surface”, Acta Biomaterialia 5(8), 3215-3223 (2009). Mariana C. Loya, Eunsung Park, Li Han Chen, Karla S. Brammer and Sungho Jin, “Radially Arrayed Nanopillar Formation on Metallic Stent Wire Surface via RF Plasma”, Acta Biomaterialia 6, 1671-1677 (2010). Kunbae Noh, Chulmin Choi, Jin-Yeol Kim, Young Oh, Karla S. Brammer, Mariana Loya, and Sungho Jin, “Long-Range Ordered Anodic Alumina Nanotubes by Nanoimprint-Assisted Aluminum Surface Engineering”, J. Vac. Sci. Tech. B28(6), C6M88 - C6M92 (2010). Cyrus S. Rustomji, Christine J. Frandsen, Sungho Jin and Michael J. Tauber, “A Dye-Sensitized Solar Cell Constructed with Titanium Mesh and 3-D Array of TiO2 Nanotubes”, J. Phys. Chem. B114(45), 14537 (2010). Chulmin Choi, Yeoungchin Yoon, Daehoon Hong, Young Oh, Frank E. Talke and Sungho Jin, “Planarization of Patterned Magnetic Recording Media to Enable Head Flyability”, Microsystem Technologies 17, 395–402 (2011). Seong Deok Kong, Weizhou Zhang, Jun Hee Lee, Karla Brammer, Ratnesh Lal, Michael Karin, and Sungho Jin, “Magnetically Vectored Nanocapsules for Tumor Penetration and Remotely Switchable On-Demand Drug Release”, Nano Lett. 10, 5088-5092 (2010). Chulmin Choi, Kunbae Noh, Young Oh, Cihan Kuru, Daehoon Hong, Diana Villwock, Li-Han Chen, Sungho Jin, “Diameter-reduced islands for enhanced e-beam & nano-imprinting lithography toward bit patterned magnetic media”, IEEE Trans. Magn. 47(10), 2536-2539 (2011). Hyunsu Kim, Jongjin Park, Kunbae Noh, Calvin J. Gardner, Seong Deok Kong, Jongmin Kim, and Sungho Jin, An X–Y Addressable Matrix Odor-Releasing System Using an On–Off Switchable Device”, Angewandte Chemie, Int. Ed. 50, 6771 –6775 (2011). P. K. Nguyen, K. H. Lee, J. Moon, S. I. Kim, K. A. Ahn, L. H. Chen, S. M. Lee, R. K. Chen, S. Jin and A. E. Berkowitz, “Spark erosion: a high production rate method for producing Bi0.5Sb1.5Te3 nanoparticles with enhanced thermoelectric performance”, Nanotechnology 23(41), 415604-415610 (2012). Dae Hoe Lee, Kyler J. Carroll, Scott Calvin, Sungho Jin, Ying Shirley Meng, "Conversion Mechanism of Nickel Fluoride and NiO-Doped Nickel Fluoride in Li Ion Batteries", Electrochimica Acta 59(C), 213-221 (2012). Phi-Khanh Nguyen, Sungho Jin, and Ami E. Berkowitz, “Unexpected magnetic domain behavior in LTP-MnBi”, IEEE Trans.Magn. 49(7), 3387 (2013). Seong Deok Kong, Marta Sartor, Che-Ming Jack Hu, Weizhou Zhang, Liangfang Zhang, and Sungho Jin, “Magnetic Field Activated Lipid-Polymer Hybrid Nanoparticles for Stimuli-Responsive Drug Release”, Acta Biomaterialia 9, 5447-5452 (2013). Duyoung Choi, Cihan Kuru, Chulmin Choi, Kunbae Noh, Soon-Kook Hong, Santanu Das, Wonbong Choi, and Sungho Jin, “Nano Patterned Graphene Field Effect Transistor Fabricated using Block Copolymer Lithography” Mater. Res. Lett. 2, 131-139 (2013). Calvin J. Gardner, Jonathan Trisnadi, Tae Kyoung Kim, Karla Brammer, Lina Reiss, Li-han Chen, Sungho Jin, “Controlled Metallic Nanopillars for Low Impedance Biomedical Electrode”, Acta Biomaterialia 10, 2296-2303 (2014). Kargar, K. Sun, Y. Jing, C. Chulmin, H. Jeong, Y. Zhou, K. Madsen, P. Naughton, S. Jin, G. Y. Jung, and D. Wang, "Tailoring n-ZnO/p-Si Branched Nanowire Heterostructures for Selective Photoelectrochemical Water Oxidation or Reduction", Nano Letters 17(7), 3017-3022 (2013). Kargar, K. Sun, Y. Jing, C. Choi, H. Jeong, G. Y. Jung, S. Jin, and D. Wang, "3D Branched Nanowire Photoelectrochemical Electrodes for Efficient Solar Water Splitting", ACS NANO, 7(10), 9407-9415 (2013). Jaeyun Moon, Dylan Lu, Bryan VanSaders, Tae Kyoung Kim, Seong Deok Kong, Sungho Jin, Renkun Chen and Zhaowei Liu, “High performance multi-scaled nanostructured spectrally selective coating for concentrating solar power”, Nano Energy 8, 238-246 (2014). Chulmin Choi, Soonkook Hong, Li-Han Chen, Chin-Hung Liu, Duyoung Choi, Cihan Kuru, and Sungho Jin, “Deformation and Electrical Properties of Magnetic and Vertically Conductive Composites with a Chain-of-Spheres Structure”, Electron. Mater. Lett. 10(3), 585-589 (2014). Tae Kyoung Kim, Jaeyun Moon, Bryan VanSaders, Dongwon Chun, Calvin J. Gardner, Jae-Young Jung, Gang Wang, Renkun Chen, Zhaowei Liu, Yu Qiao, and Sungho Jin, Si Boride-Coated Si Nanoparticles with Improved Thermal Oxidation Resistance, Nano Energy 9, 32-40 (2014). Chin-Hung Liu, Youngjin Kim, Dongwon Chun, Gunwoo Kim, Renkun Chen, Anthony W. Yu, Sungho Jin, “Universal solders for direct bonding and packaging of optical devices”, Materials Letters 152, 232-236 (2015). Cihan Kuru, Chulmin Choi, Alireza Kargar, Duyoung Choi, Young Jin Kim, Chin-Hung Liu, Serdar Yavuz and Sungho Jin, "MoS2 nanosheet-Pd nanoparticle composite for highly sensitive room temperature detection of hydrogen", Advanced Science, 2(4) (March 2015 online published), DOI: 10.1002/advs.201500004. Duyoung Choi, Cihan Kuru, Gunwoo Kim, Taekyoung Kim, Renkun Chen, Sungho Jin, “Uniformly Nano-Patterned Graphene Field Effect Transistors with Enhanced Properties”, Nanoscale Res. Lett. 10(1), 289 (2015). doi:10.1186/s11671-015-0976-2. Ying Zhong, Rong An, Chunqing Wang, Zhiquan Liu, Chin-Hung Liu, Tae Kyoung Kim, Caifu Li and Sungho Jin, “Lead-Free Circuit Connections Using High Melting Temperature Cu6Sn5 Intermetallics at Lower Temperatures via Nano Route”, Small, DOI: 10.1002/smll.201500896 (June 1, 2015). Alireza Kargar, Justin S. Cheung, Chin-Hung Liu, Tae Kyoung Kim, Conor T. Riley, Shaohua Shen, Zhaowei Liu, Donald J. Sirbuly, Deli Wang and Sungho Jin, “NiOx-Fe2O3-coated p-Si photocathodes for enhanced solar water splitting in neutral pH water” Nanoscale 7, 4900-4905 (2015). DOI: 10.1039/C4NR07074G. Duyoung Choi, Cihan Kuru, Chulmin Choi, Kunbae Noh, Sookhyun Hwang, Wonbong Choi and Sungho Jin, "Unusually High Optical Transparency in Hexagonal Nanopatterned Graphene with Enhanced Conductivity by Chemical Doping", Small 11(26), 3143–3152(2015). Chulmin Choi, Kyung-Jun Hwang, Young Jin Kim, Gunwoo Kim, Ju-Young Park, Sungho Jin, "Rice-Straw-Derived Hybrid TiO2-SiO2 Structures with Enhanced Photocatalytic Properties for removal of Hazardous Dye in Aqueous Solutions", Nano Energy 20, 76-83 (2016). J. Baek, S. Sovani, N. E. Glembotski, J. Du, S. Jin, S. P. Grogan, D. D'Lima, "Repair of avascular meniscus tears with electrospun collagen scaffolds seeded with human cells", Tissue Eng Part A. 22(5-6), 436-448 (2016).